Today at Friends House in London, QCA joined CreatureKind and Humane Society International UK to celebrate Friends House becoming a “CreatureKind Institution”. 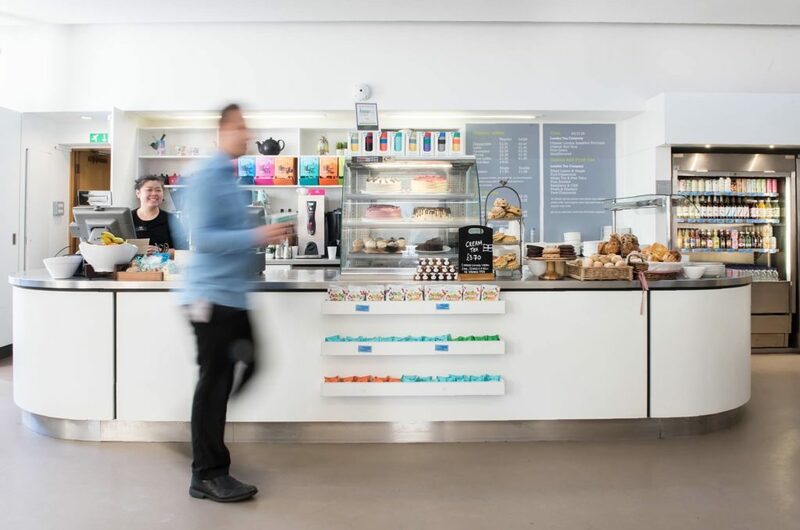 Friends House has committed to reducing the amount of animal products (meat, dairy, and eggs) served in their dining and catering facilities by 20% within two years. At the launch they debuted their new “CreatureKind” menu to a very gratified lunchtime crowd in the Bookshop Cafe, who sampled such vegan delights as cashew nut curry, falafels and sausage rolls with salsa, as they heard from Jamie Scott of Friends House Hospitality and from David Clough of CK and Thom Bonneville of QCA. Former QCA committee member and current Chair of the Animal Interfaith Alliance, the Reverend Feargus O’Connor, was on hand in 2009 at the House of Commons to see Friends House receive Compassion in World Farming’s “Good Egg Award“. He had this to say today at Friends House in appreciation of their becoming the first religious body to sign up as a CreatureKind Institution: “I warmly applaud this initiative. Once again, Quakers are showing the way in acts of practical compassion. I hope others will follow. Click to watch Friends House’s video interview with David Clough on the subject of compassionate eating.